The uncompromising quality of original hand-made British furniture. Fleming & Howland’s Chesterfield sofas offer timeless quality. The iconic chesterfield mark is more than just historical design; it provides consumers with a guaranteed hand-made product and an assurance of quality. 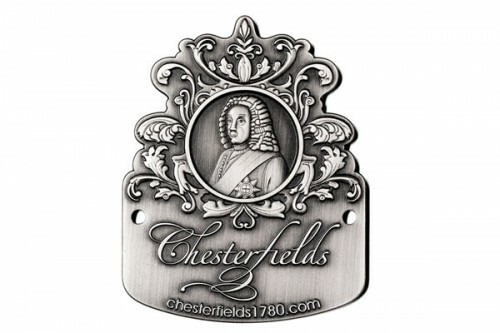 All Chesterfield sofas produced by Fleming & Howland feature a solid brass badge affixed to the rear of each piece and are certified made in the UK by the Chesterfields Trade Association.